When the name Ceanothus or 'Californian Lilac' (its common name) is mentioned most people envisage the rather large shrub with a striking display of deep blue flowers apppearing in spring. Although still a ceanothus, C. 'Diamond Heights' is a totally different proposition with a ground covering habit and outstanding foliage for year round rather than seasonal interest. Unlike the deep green foliage of other species the individual leaves are in tonings of lime-green to yellow with deep forest-green patches. In summer the yellow colouration dominates whilst the deep green patches are more prominent in cooler or shaded conditions. Pale blue flowers can also appear in spring to supplement the stunning foliage display. The genus Ceanothus covers around 50 species of both evergreen and deciduous shrubs which are all native to North America with a greater percentage originating from the coastal ranges of California (hence its common name). Some varieties can reach the size of a small tree but rest assured - 'Diamond Heights' can be fitted easily into a confined garden area or even grown in a large decorative container. In the larger garden group plantings can attractively cover large areas with little maintenance once established. In fact the only draw back is that - like other ceanothus - it is short lived in climates with warm, wet summers limiting this terrific plant to those of us living in the more southern regions of Australia. Select a sunny to part shade location in a well drained soil. 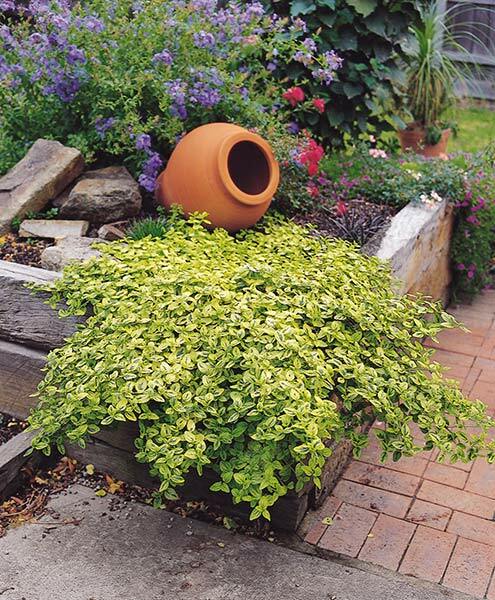 Drought tolerant although occasional deep watering during extended dry periods is advised. No pruning is required. An application of slow release fertiliser during early spring will be beneficial to overall performance. 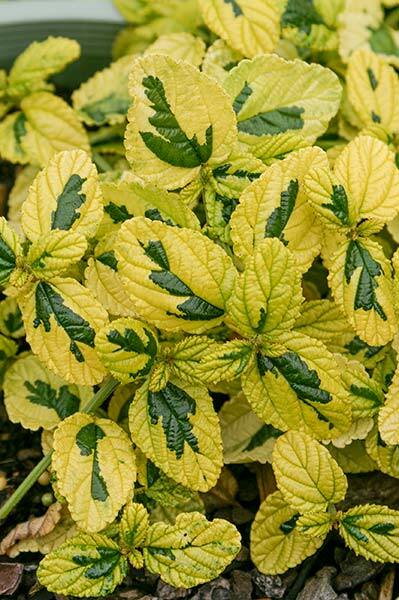 It is not often that a plant can have so much to offer both the seasoned green thumbs and novice gardeners alike but this would certainly fit the bill. With loads of ornamenal appeal and ease of care, 'Diamond Heights' is a valuable addition for garden beds and borders where it will serve as a permanent 'structural feature' around which shorter lived annuals and/or perennials can be positioned. For a restful surround in a courtyard or around entertainment areas try using only evergreen foliage plants of various shapes, sizes and shades of green interspersing with 'Diamond Heights' to add that visual intrest without being overwhelming. However, if colour is what you enjoy 'Diamond Heights' is particularly complementary to popular hot coloured schemes including yellows, orange, red etc. perhaps toned down a little with touches of blue, purple or silver foliaged plants.